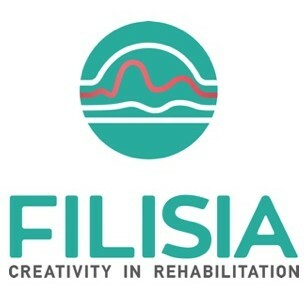 Filisia engages people with special needs in their rehabilitation process through accessible music technology. We develop sensor based devices that enable the musical creation of people with special needs while providing exercise motivation and supporting users’ sensory integration. People facing musculoskeletal problems and cognitive challenges such as cerebral palsy, autism or traumatic brain injury cannot express themselves musically. This is because traditional musical instruments have inappropriate size, shape and a steep learning curve. Yet active musical engagement has significant benefits to their rehabilitation process. At the same time, they need to exercise regularly to fight their musculoskeletal problems and to improve their cognitive and motor skills. Unfortunately, this group gets easily demotivated. Filisia develops sensor based devices that enable musical creation while providing exercise motivation and sensory integration. The interfaces combine hardware, software, microcontrollers and are cross platform. They are customisable to the needs and abilities of each user and support a wide range of interactions (improvise, memorise, orchestrate, turn-taking etc). Our systems engage the users by providing haptic, auditory and optical feedback and employ increasing interaction complexity to sustain users’ engagement. We also report utilisation data to users’ therapists and parents, so that they can track the evolution of users’ skills. Our potential users are people with medium to severe cases of musculoskeletal, neurological and cognitive disabilities such as cerebral palsy, autistic spectrum disorders, down syndrome, intellectual disability, or people who have had stroke. Our total addressable market is ~40 million people in Europe, the US, Canada and Australia. Our clients are rehabilitation centers, clinics, day care centers, therapists, and the families of our users. Filisia operates in the high profit margin industry of Assistive Technology. Our main stream comes from selling Filisia devices. For rehabilitation centers and therapists we offer a yearly subscription model, involving more music tracks, unlimited users’ profiles and corresponding data reports. For parents we offer one-off sales model. Secondary streams come from selling add-ons (hardware and software). Our solution has received several health and social entrepreneurship awards and distictions. Filisia won the Angelopoulos Clinton Fellowship and they participated at the Clinton Global Initiative University 2014. They were also invited to present at the Entrepreneurial Bootcamp at Stanford University. Additionally, they won the “Innovation in access to healthcare” award from the Ashoka Changemakers competition, the Social Impact Award 2014 by the Impact Hub, the Future Scope Award, and are among the 5 winning teams of the prestigious Social Innovation Tournament by the European Investment Bank.